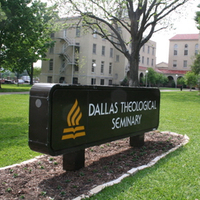 Dallas Theological Seminary (or DTS) was founded as Evangelical Theological College in 1924 by Lewis Sperry Chafer, a noted dispensationalist theologian who would serve the seminary as its president until his death in 1952. Dr. John F. Walvoord, himself a DTS graduate, took over as president upon Chafer's death and served as president until his retirement in 1986. DTS alumni contain a virtual Who's Who of Protestant Evangelicalism (of the Dispensationalist variety), as do the faculty. Graduates include Charles Ryrie, Chuck Swindall, and Bruce Wilkinson. At one time, all students were required to affirm the seminary's rather large doctrinal statement in order to receive their degrees. 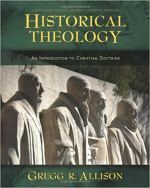 At present, students no longer have to do so, though faculty must affirm the seminary's traditional dispensational tenets. DTS boasts one of the largest enrollments of any seminary in the US, currently over 2,100 students. The faculty is extensive as well with around 50 full-time faculty and 30 part-time faculty. The flagship degree at DTS is the ThM rather than an MDiv, where students combine basic theological studies along with a concentration such as apologetics, hermeneutics, New Testament, philosophy, and youth education - currently, over 30 emphases are available to ThM students. For students who already hold an MDiv degree, DTS offers the STM (Master of Sacred Theology). Numerous MA degrees with various concentrations are also available, as are advanced degrees such as the DMin, DEdMin (Doctor of Educational Ministries), and PhD (formerly ThD). Known for its rigorous commitment to biblical exegesis, DTS requires 20 hours of biblical instruction (including mandatory Hebrew and Greek) and 18 hours of concentrated theological instruction. DTS offers daily chapel services Tuesday - Friday during each long semester, and all masters-level students are required to attend. DTS students are also allowed to use the Baylor Tom Landry Fitness Center, which is paid for by the student's activity fee paid each semester. For "mental fitness," the seminary offers personal advising and counseling for seminary students and their spouses. Numerous student groups based on shared interests are also available, as is the "Kerygma," a listing of events and activities of interest to DTS students. DTS offers Washington Hall (single men and women without children) and Swiss Tower (married students with or without children and single students with children) as on-campus options for student housing. Due to the high demand, DTS recommends that first-year students seek housing off campus as soon as they are admitted. DTS does offer assistance in finding off-campus housing for its students. DTS offers numerous scholarships to students based on financial need, as well as minority and international scholarships. Direct Student Loans and DTS-based payment plans are also available.